CELTA: You’re the ONE that I WANT!!! It may not have been the summer of 69, but I definitely had the time of my life. Actually, now that I look back in the summer of 2013, I feel really proud of myself for opting for the CELTA because it’s been a great and rewarding experience full of learning, new friends and of course lots of racing against the clock. 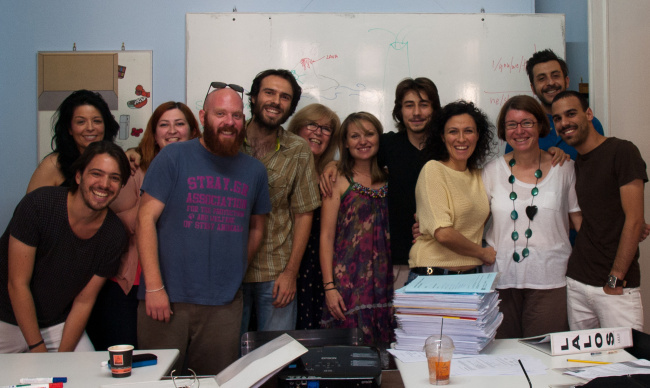 The picture shows my amazing CELTA group. It’s been such a pleasure being surrounded by all these amazing and talented people. We had so much fun together!!! I do still recall the days when we worked around the clock to meet our deadlines, it was such a hectic July indeed, but for what it’s worth I would do it again! Having said that I only see fit that I start talking about the juicy and most important aspects of my CELTA course. I have also been Tagged! Our first Online CELTA of 2018! Our Online CELTA – about to lift off! Our Online CELTA course begins on….